- It is strong stimulant and is used for both respiratory and digestive system. - It treats congestion, cold and revives the organic functions that are weak. Dosage: As directed by Dietition. BioFresh is an all-natural herbal enhanced laxative that tastes great and helps to keep you regular. - Herbal formula for constipation. : Cures constipation and takes out faeces adhered to intestine. Effective in cold, cough and useful in gastric problem. Consti-Fit is an Ayurvedic Anti Constipation Powder (Laxative) designed for people with Chronic Constipation problems. It contains mainly Haritaki (Terminalia Chebula) and Senna Leaves (Cassia Augustifolia) along with other supportive ingredients. Removes permanent constipation and brings clear stools. Also efficient for the headache remaining due to constipation. 5 to 10 grams with water at night at the time of sleeping. 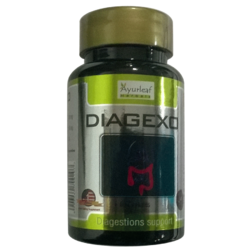 Available with us is highly effective Anti Constipation Powder. Anti Constipation Powder is very beneficial to cure constipation. Hygienically processed, Anti Constipation Powder that we provide is high on demand in the market. Consequently, we are considered to be the most prominent Anti Constipation Powder Manufacturer based in India. a) Tasty , delicious & 100 % water soluble formulation based on 65 % Isabgol in the form of Coarse Powder.